The GoPro killer is here — introducing the CamOne Infinity! The CamOne Infinity is a new action camera new to the market. Though it uses the same processor and does everything the GoPro HERO 2 does, the CamOne Infinity is anything but a pale imitator. Interchangeable Lenses: The removable and adjustable lens allows you to customize the field of view and the picture to your liking. The CamOne Infinity is also compatible with all of our aftermarket lenses made for the GoPro HERO. 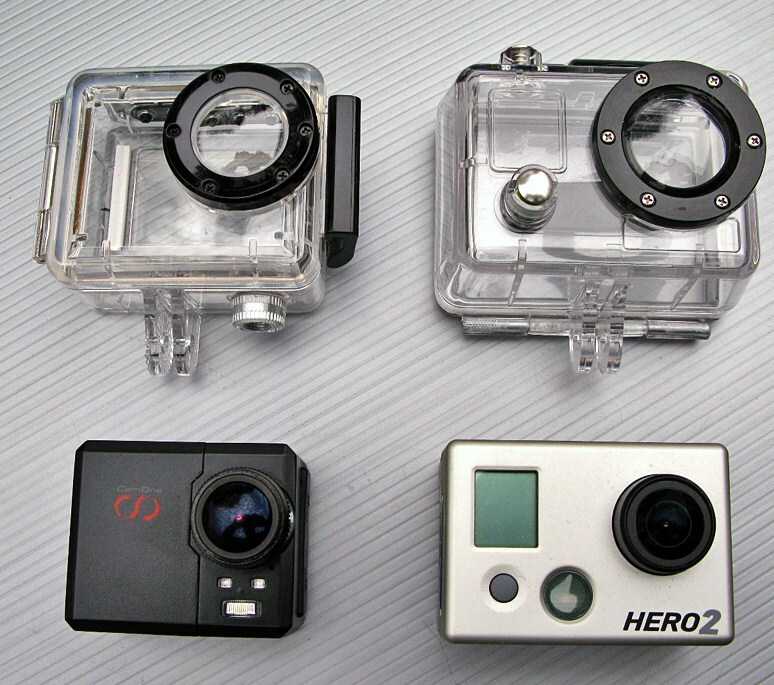 Smaller & Lighter: The CamOne Infinity weighs less than a pound and is ultimately smaller than the GoPro HERO. Less bulk will allow a myriad of other opportunities. Built-in LCD Screen: The CamOne Infinity, unlike the GoPro HERO, comes with a LCD screen built-in, allowing instant review of your footage and taken pictures. Compatibility: In addition to lens compatibility, you can also use all GoPro mounts with the CamOne Infinity. LEDs: The CamOne Infinity features two white LEDs in the front, instantly making it better than the GoPro HERO in low light. Dual Micro SD Slots: Unseen in any camera in its league, the CamOne Infinity boasts two different Micro SD slots. Equipped with a 32GB card in each slot, 64GB of storage is possible. Loop Recording: The CamOne Infinity allows loop recording, so you can record videos in 5, 10, 15, 20 or 30 minute segments, perfect for dash camera use. Time Lapse: The CamOne Infinity allows time lapse shooting. Time/Date Stamp: You can easily adjust the time/date stamp with the CamOne Infinity, allowing accuracy when reviewing your footage. Ambarella Chip: The CamOne Infinity uses the same Ambarella processor as the GoPro HERO 2, which provides excellent HD quality. GPS: Using the optional GPS G-Sensor add-on, you can activate your CamOne Infinity to receive GPS information with software for both ground and air use. Motion Detection: You can set up your CamOne Infinity to start recording as soon as motion is detected with low, medium and high sensitivity settings. WiFi Module: The upcoming wireless add-on for the CamOne Infinity allows all the same features as the similar GoPro kit, but the CamOne’s will be able to create its own wireless hotspot. The CamOne Infinity outperforms the GoPro HERO 2 in multiple ways. You can order it now from StuntCams and try it for yourself! Howdy … I’m testing a CamOne Infinity for ACME. Surprisingly they do not themselves know what the Motion Sensor built into the camera does. It seems to work on it’s own, so my question is … what is the external Motion Sensor for? What added capabilities does it offer?